Several years ago I was invited to my very first incident command and control training event to work as a helper/observer. I remember watching this extremely confident Finance Director (who was working for a medium-sized organisation at the time with over £500 million annual budget) and they were taking part in a crisis-related scenario. I remember feeling really perplexed as this clearly capable and experienced professional started to crumble under the increasing pressure. They became more frantic and nervous, overlooking the simplest of issues and making fairly basic mistakes. The other thing I noticed is that they decided to invite everyone they trusted to the meeting as a kind of comfort blanket/entourage. I couldn’t help but think at the time…”hang on a second…this person makes massive financial decisions on a daily basis and surely they must eat pressure for breakfast?” The development of an incident-related psychology to avoid the fear of the unknown or perhaps credibility failure is one of the most under-valued elements in having a solid Business Continuity Management System (BCMS). 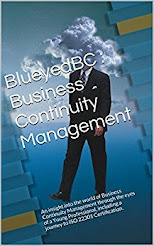 If you nurture the development of the crisis mentality in your top management then you can potentially save thousands through the enhancement of things like efficient decision making, well-rehearsed response procedures and total comprehension of roles and responsibilities; the standard building blocks of a BCMS. In the spirit of Business Continuity Awareness Week and the BCFlashblog Event, let me explain by way of example of counting the costs of just one meeting during a crisis. 1) In the absence of a BCMS you can guarantee the senior management meetings will go in to double figures while they figure out the best course of action to take. 2) The meetings will more than likely require a physical presence; Executives seem to prefer “skin to skin” meetings. I even once heard an executive say “I want to see the whites of someone’s eyes when I’m dealing with a crisis situation”. 3) Individuals will seldom arrive without someone else in support either on the phone or in person so the total number of participants will often double at the very least. This figure is even more impressive when you consider that a management team could potentially convene anything up to 10 or more times in the run up to this kind of disruption which would total something more like 600 Hours. I once calculated the time invested in to a similar response for an organisation and based only on the meetings scheduled in the diaries of those involved it totalled over 750 hours! That’s over a £1000 per meeting in simply preparing for a response so imagine the additional resource cost on top of that? Help your managers remain calm and collected during a crisis and save time and money in the process. An effective and well-rehearsed BCMS would have streamlined this approach to have the right people with the right skills in the right place at the right time meaning swift situational reports, an efficient communications hub, established roles and responsibilities and streamlined checkpoint meetings. Not to mention all the impact data collected in advance just so you are abundantly clear as to what the priorities are! As a junior professional in this industry I constantly see businesses invest in lean systems and activity based costing yet when I raise the above calculations post incident they tend to get overlooked. An organisation without a BCMS (or even a poor one) will by default throw all the resource they can at an incident often leading to time and money wasted. It doesn't have to be like that. I know many of my peers will argue that as long as the organisation gets through the experience then the investment is not wasted. I disagree to an extent. If the business invested even a 1/3 of the reactive budget in to proactive measures (i.e. a well developed, well rehearsed and widely communicated BCMS) they could potentially be able respond to series of incidents over time for the same cost. I’m not saying my views are 100% fair and even totally accurate on the industry but I was desperately searching for somewhere that I could get involved in open, honest and fair discussion with other junior professionals to talk about those moments when you sit in meetings and think…”hang on a minute, is it just me…” but without the fear of looking foolish. Since releasing BlueyedBC in November 2013, there have been over 3000 visitors to the site from all over the world and I have been inundated with support from senior professionals who are really keen to nurture raw talent. Many of my colleagues in this industry regularly agree with me that there is a real absence of junior professionals actively sharing their perspective. 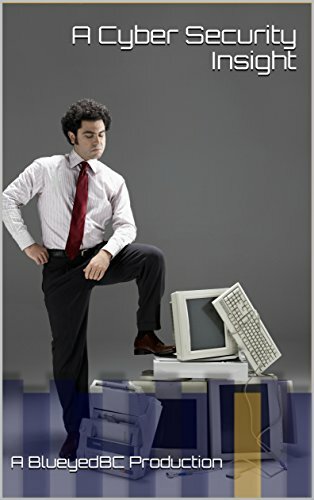 For those who regularly visit my blog will know, I like to provide my fresh and unabridged accounts of Business Continuity to help those newly qualified or taking a side step in to this career.